If you love to travel the world in search of interesting dungeon, the Dungeon Pack is an excellent modification for you. 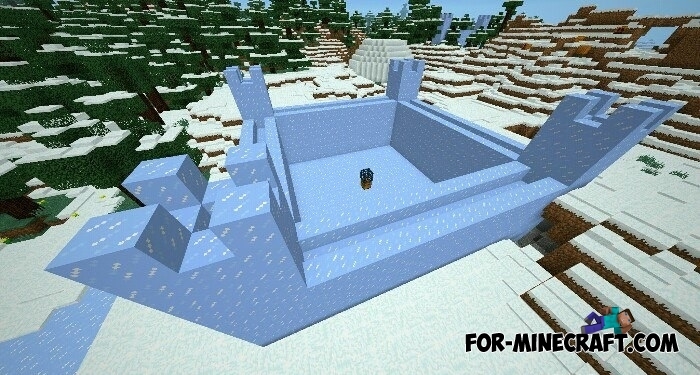 To get inside, you'll have to destroy all hostile mobs that will protect the dungeon. Each new dungeon is randomly generated in any part of the world, so please be patient and take plenty of food. There are more than 10 new structures from small to huge. Each building can become a home or store treasures in itself. The chance to find a dungeon is very high, and some of them are located in a specific biome. For example, you can find a pyramid in the desert. The Dungeon Pack for MCPE great variety to the outside world. How to install the Dungeon Pack mod? Click the wrench and activate the mod (.modpkg). Hostile Worlds mod for MCPE 0.10.5If the normal Minecraft PE world seems too easy, then you need a "hostile world mod".